SRMJEEE is a a University level Entrance Test. It is a joint entrance examination organised for providing admission in B.Tech & M.Tech courses. These courses are offered in SRM institutions campuses. SRMJEEE Application has been started from 27 October 2018. SRM Entrance test will be conducted from 15 – 25 April 2019. SRM University has announced the schedule of the events related to SRMJEEE which are mentioned below. SRM group of Institutions SRMJEEE Application Link Here. Prior to applying online a candidate must register online on the official website of SRM University. Candidates will have to apply for the examination through online mode on the website. Further, applicants must fill all the details carefully and upload their recent passport size photograph and the scanned signature of the specific size. Candidates who are willing to appear in the exam must pay the fee for the test either using the online payment option / unique voucher or through Demand Draft. Last date to fill application form is 31 March 2019. The correction in Application form will be started from 05-10 April 2019. Registration- Candidates will have to first register them by providing Date of Birth, Name, Email Id and Phone number. After successful registration, an unique Id and password will be sent to candidate’s contact no. and E mail Id. Login: Candidates will have to log in to fill the application form of SRMJEEE After receiving id and password. Fill the application form: candidates will have to enter all the required details in the application form. Application Fee Payment: candidates will have to pay the Application fee of Rs. 1100 through online mode of payment. Uploading Scanned Documents: candidates will have to upload all the scanned documents as specified by the university. Candidates must take printout of the filled in Application Form. The application fee of SRM Joint Engineering Entrance Examination (SRMJEEE) for the academic year 2019 is Rs 1100 that has to be made either through online mode( debit card, credit card and net banking) or through DD drawn in the favour of SRMIST, payable at Chennai. Moreover, candidates can go through the official website for more details of the SRMJEEE application form here. Also, candidates must write their name, mobile number and address on the back of the Demand Draft. 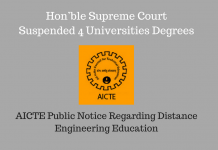 However, SRMJEEE is an important Engineering Entrance Exam for admissions in SRM University’s four campuses at Ramapuram, Kattankulathur, Ramapuram Part – Vadapalani and NCR Ghaziabad. 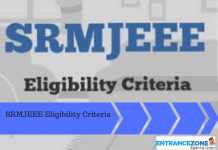 Candidates must also go through the eligibility criteria for SRMJEEE 2019 before filling the form. As it is a National level exam, every year over 1.80 lac candidates appears for SRMJEEE. Also, around 7000 seats are available in Undergraduate Engineering courses at SRM University (at all the four campuses). How to Apply for SRMJEEE Exam? 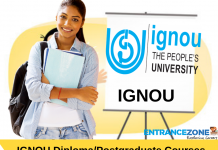 srm application form last date, srmjeee application form 2019 fees, srm university application form 2018, srm application form 2019 last date, srm university application form 2019, srmjeee 2018 application form. What is the cost for the form for general?